Food safety and sanitation are among our highest priorities and we take our responsibility to our school districts – their students and staff – very seriously. Recently, Maschio’s opened a training center and kitchen at our Chester, NJ headquarters. Maschio’s employees are trained, knowledgeable and skilled in proper food handling, food safety and sanitation techniques. We use best practices to maintain a clean and sanitary environment for food preparation and service at every school, not matter how small or large the kitchen. 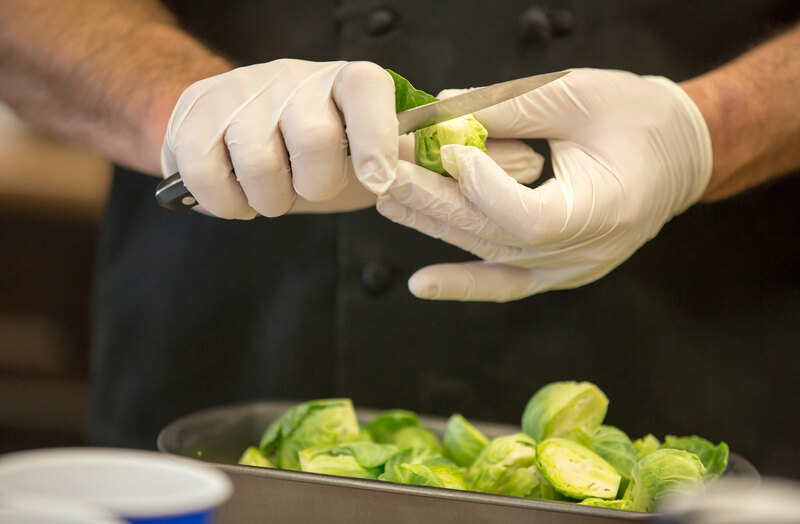 We provide ongoing food safety and sanitation training to all of our school and district food service personnel, either through our own certified trainers, or local boards of health. Maschio’s kitchens use Food Safety Plans based on the Hazard Analysis Critical Control Point (HACCP) system. Food Service Directors complete bi-weekly HACCP checklists to assess needs and implement corrective actions. District Supervisors are “ServSafe” certified and required to maintain certification. Employees take an annual food safety course, which is supplemented by in-service training at least twice a month.